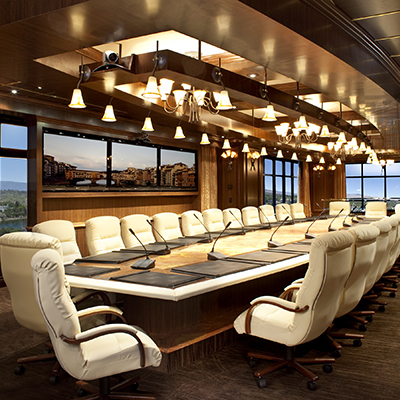 Over the past 35 years, Commonwealth Worldwide has gained a deep understanding of how corporate meetings, special events, and other occasions function, from initial budgeting through final billing. We handle event execution with a specialized approach that’s second to none, for groups ranging from small executive meetings to conferences of 1,000+ attendees. Get in touch to find out more about our corporate event planning services. Our Dedicated Groups Desk: Staffed exclusively by experienced Event specialistists who are intimately familiar with your group’s specific needs and venues worldwide. Manifest-Based Reservation Confirmation: We process your requests from your working documents and in return provide a comprehensive manifest to help reduce your time spent in cross-checking and reconfirming. Onsite Event Coordinators: Commonwealth is proud to provide professional onsite event staffing services. Our representatives assist you onsite by greeting your travelers and escorting them to waiting vehicles. They act as your liaison, and remain in constant communication with you and your event chauffeurs, to ensure a smooth experience for your attendees. FAA Flight Tracking: During your attendee arrivals, all incoming flights are continuously monitored using FAA integrated software to ensure the vehicle is on time, every time. Chauffeur Direct Emails: An automatic email sent to you 15-20 minutes prior to pick-up advising you of the chauffeur’s names and cell phone numbers for your group, giving you peace of mind. GPS Tracking: In almost every market we serve, you'll be able to track your driver(s) in real time right on your smartphone or desktop! Consolidated Group Quoting, Billing and Customizable Reporting: We recognize how important it is to understand your projected costs ahead of your program, and then receive your invoices quickly and in a format that suits your requirements upon completion. UnCommon Commitment: We are people moving people, and sometimes things happen. We are proud of the fact that out of every 1,000 rides we complete, there are less than five incidents to report. And if we do encounter an issue, you’ll likely hear from us to resolve the matter before we hear from you - that's "The Commonwealth Way." Yes, I need to know Please select one. Without a doubt, Commonwealth Worldwide service is far superior to anyone else. We depend on Commonwealth to be an extension of our business in the field and they consistently exceed our standards. Commonwealth is truly the best in their field! Conscientious, efficient, detail oriented and customer service focused. It is a sincere pleasure partnering with a company that provides you full confidence once the task is assigned. As an event planner, I often have last-minute requests for special accommodations or spur of the moment modifications. They make my life so much easier! For more than 35 years, Commonwealth Worldwide Executive Transportation has brought unparalleled service and quality to the world of corporate travel and luxury transportation. Multi-city Financial Road Shows, Private Jet Charters, Corporate Travel for Executives, Entertainment/Production Tours and Meetings and Special Events are where we have built our reputation as the premier worldwide leader. With headquarters in the heart of New York City and Boston and a presence in more than 85 countries internationally, Commonwealth Worldwide is one of the largest and most respected chauffeured transportation companies. Copyright © Commonwealth Limousine Service, Inc. 2019. All rights reserved.